While permanent makeup has been in practice for many years, more and more people have been doing it over the past decade as people have realized how convenient it truly is! Many individuals can spend an hour or more everyday applying their makeup, only to take it all off at the end of the day, and do it all over again the next day! With permanent makeup, not only do you free up your time, but you maintain that perfect look, and never have to worry about it smudging or coming off regardless of the activity you’re doing. From the gym, to work, to happy hour, it’s stays put and looks flawless all the time. At Novaline Permanent Cosmetics, we are proud to offer an array of permanent makeup procedures, from small beauty marks to full hair follicle simulation, and everything in between! 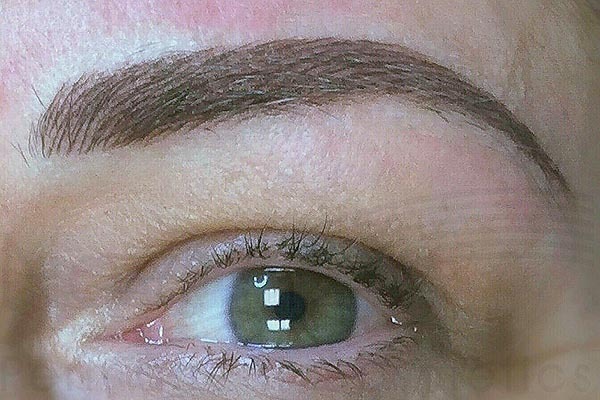 Permanent eyebrow tattoos which are the most common permanent makeup procedure, allowing for the look of meticulously groomed brows without all the hassle! Microblading is the latest fad in this industry, though we often do not recommend this procedure for the majority of people due to the nature of the procedure and the scarring that can occur. Microbladed eyebrows are considered a semi-permanent makeup procedure, and must be redone every few months. Because of the reasons above, we generally recommend soft shading and feathering techniques instead, both of which create the look of natural brows without the micro-cuts of microblading that produce scarring. Soft shaded and feathered brows are both permanent procedures that generally take 2-3 hours, and only need be touched up every 1-2 years, depending on your skin type and chosen brow colour. 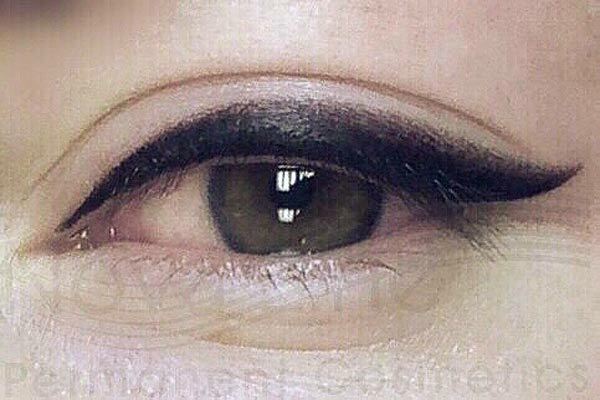 Permanent eyeliner takes the guesswork out of putting on even, perfectly shaped eyeliner. Though this area is very sensitive, when done by a professional with numbing cream, it is virtually painless and heals very quickly. Individuals can choose from an array of colours that match their style, and the colours can even be changed (within reason) every 1-2 years! 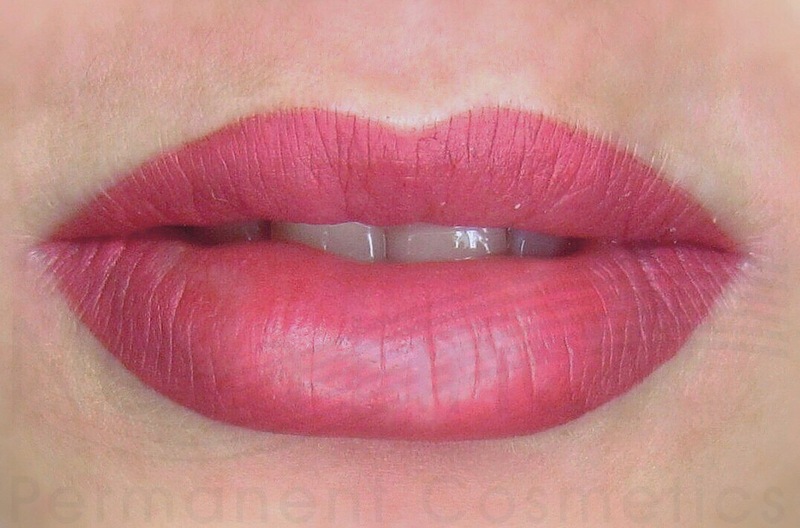 Permanent full lip colour is another extremely popular option, helping to create the look of full, symmetrical, beautiful lips that never lose colour! Individuals can choose from a more neutral colour to bright, vivid colours to fit their style. Best of all, there’s no smearing, smudging, or re-applying necessary. If you want to change up your look on a certain day, you can always apply lipstick or lip gloss over your permanent makeup to create the look you desire. Permanent full lip colour can also help minimize the appearance of fine lines around the area, and cover scars or discolouration. If you are considering having any of these procedures done, we urge you to seek a true professional and master of the craft. As permanent makeup has become more popular, more and more people are getting into the industry with the bare-minimum of training and little experience, which can lead to unfortunate mistakes. While the experts at Novaline Permanent Cosmetics can often fix permanent makeup done by others, it’s best to do your research and get it done right the first time by a trusted professional. If you have any question, we welcome you to give us a call at (647) 883-6251. For aspiring permanent makeup artists, Novaline also offers training courses! You can learn more about our courses here https://www.novalinepermanentcosmetics.ca/permanent-makeup-training/.